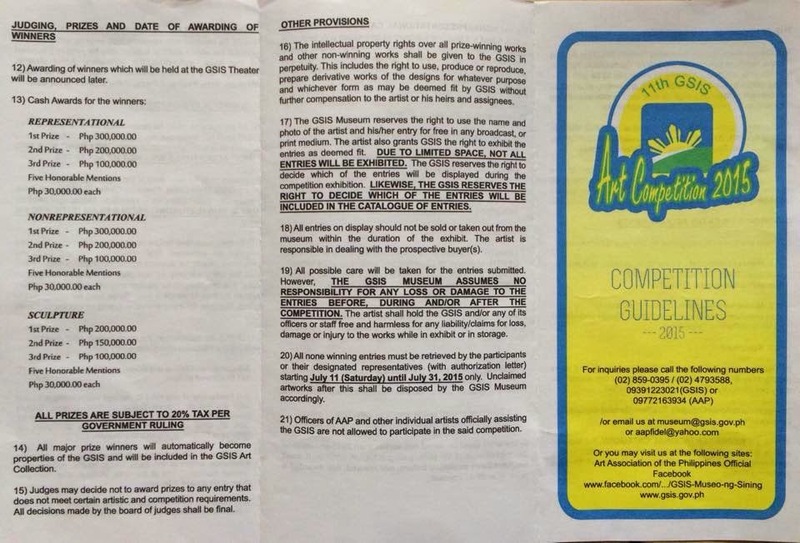 The Government Service Insurance System (GSIS), in cooperation with the Art Association of the Philippines (AAP), mounts the GSIS Art Competition 2015. 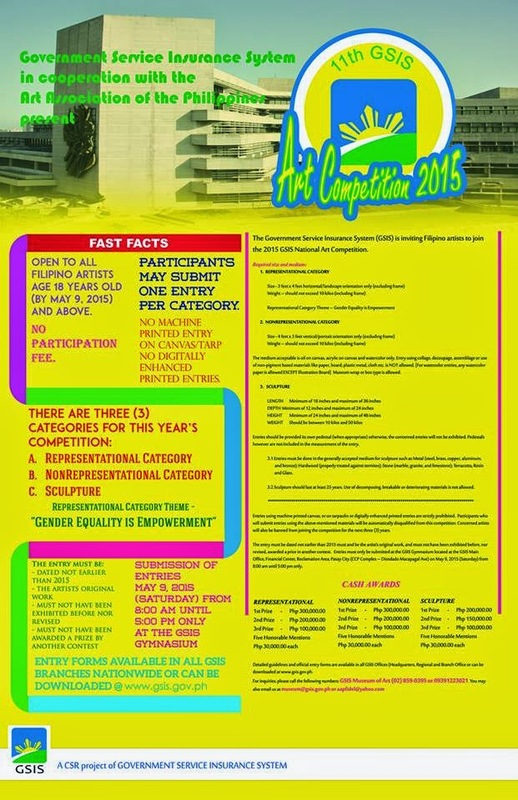 On its 11th year, the competition is open to Filipino artists age 18 years old (by May 9, 2015) and above. It is open in 3 categories: Representational, Non-Representational (Abstract), and Sculpture. Artists can submit only one (1) entry per category. There is no participation fee. Submission of entries is on May 9, 2015 (Saturday) only, 8am-5pm at GSIS Gymnasium. 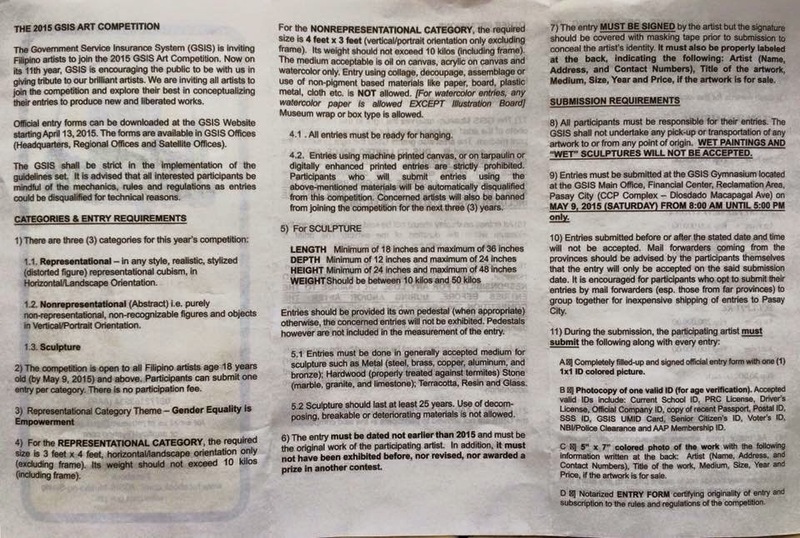 Official entry forms are available in all GSIS branches. However the forms can be downloaded from the GSIS website beginning on April 13, 2015.